Linda Jean "I love, Cheryl Renee Long, that you have created such a beautiful community of artists. Beyond art there is love and connection. Thank you for this." 'With your support, wise suggestions and help, I have done some of my best works ever and they are all originals thanks to your prodding of using our own material vs your photos. I am also jumping in into new paintings on my own because of you." "I have so enjoyed your classes and the people in them. All so varied in their approaches to painting and really interesting artists. "Cheryl your knowledge of color is amazing and you are a wonderful teacher. You encourage the artist in me and all your students. I am a much more confident painter and have learned so much. Thank you!" 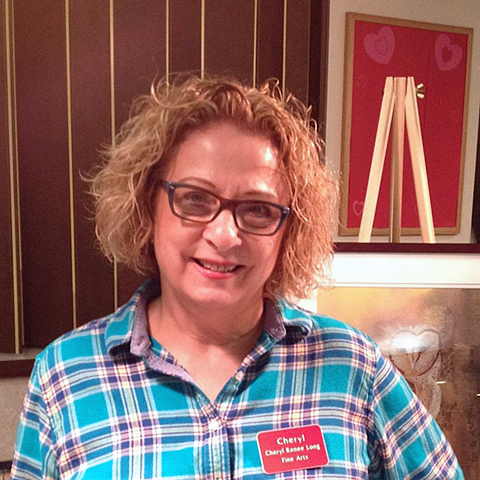 "Cheryl is a wonderful teacher and friend. I have been a student of hers for almost 7 years. The group artists I paint with are a joy. They too are very supportive." "I really appreciate the way you helped all of us see the world as an artist can, and translate that into action and creativity. Confidence grows along with ability, and you are a great teacher on that strange and exiting road." "I am now the proud owner of 3 of your paintings, which really delights me. I do love your work and look forward to framing it and finding the perfect place for it." A comment from a friend about Winter Roost and Snowy Owl: "I completely love your stuff. The beauty of the skies and the diversity of the weeds is so lovely. and your snowy owl on the card is magnificent Good work my dear!!!" alive & bright in your heart & in your art..."
"I just can't thank you enough for the support and instruction and the class. It has been a really rough couple of years and painting is bringing me a lot of joy and relief. "When the student is ready, the teacher appears" and I am so grateful to the Universe / the Powers that Be / Fate / etc for sending us both to Daniel Smith that day for the demo. BIG HUGS!" Wonderful, Cheryl! Love this watercolor painting. YOU are a master of COLOR-bright, bold, blended. Courageous heart colors. I experience the harmonics of your compositions in myself. You have an amazing gift. Thank you, friend." CChristy White "I so love seeing your artwork! Thank you so much for sharing. They all have this prayer-full element to them. Such a wonderful vision you have!"